We’re Guaranteed Automotive & Transmission Service, Lafayette’s number one choice for car repair. Our ASE-Certified auto mechanics are experts at Scion car repair and they have all the sophisticated tools and techniques necessary to getting your favorite little car back in tip top shape. 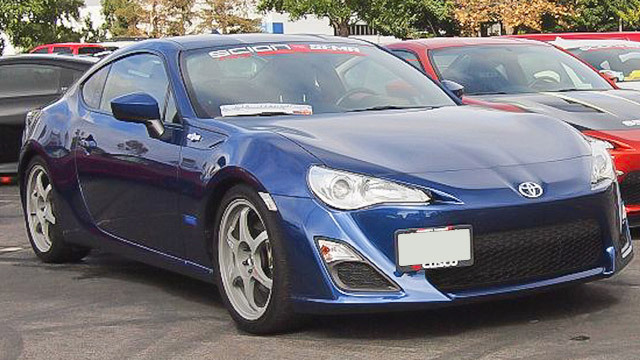 For 13 years, Toyota manufactured inexpensive, reliable, and economical cars under the Scion name. Although they’re no longer made, even a short drive around Lafayette will show you that there are plenty of Scions still on the road. The company’s motto was “weird, right?” and most will admit the cars were a little odd looking. But Scion owners are a loyal bunch and they love their cars. That’s why they still hold onto them. They’re aging now, so they will require expert car repair and maintenance. That’s where we step in. You’ll be happy to know that we’re good Lafayette neighbors as well and support a wide range of charitable organizations. Check out a partial list here . Recently, we did a car repair clinic for a group of Boy Scouts that enabled them to earn merit badges. So the next time your Scion is in need of expert car repair, trust it to the auto mechanics at Guaranteed Automotive & Transmission Service. We’ll have you back on the road in no time. Schedule an appointment online , call us at or stop by. Guaranteed Automotive & Transmission Service is conveniently located at 3742 State Rd 38 East Lafayette, IN 47905.